A bioterrorism attack is the deliberate release of viruses, bacteria, or other germs (agents) used to cause illness or death in people, animals, or plants. These agents are typically found in nature, but it is possible that they could be changed to increase their ability to cause disease, make them resistant to current medicines, or to increase their ability to be spread into the environment. Biological agents can be spread through the air, through water, or in food. 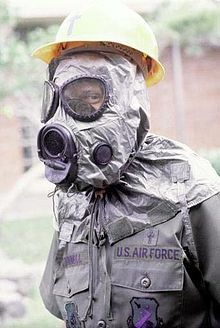 Terrorists may use biological agents because they can be extremely difficult to detect and do not cause illness for several hours to several days. Some bioterrorism agents, like the smallpox virus, can be spread from person to person and some, like anthrax, cannot.